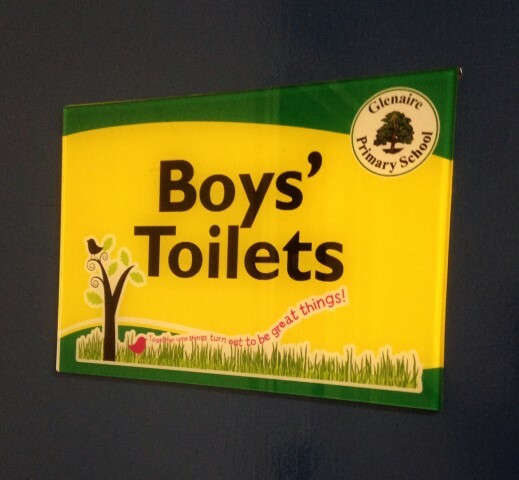 Our internal signs are made from a variety of materials, in a wide range of colours and finishes. 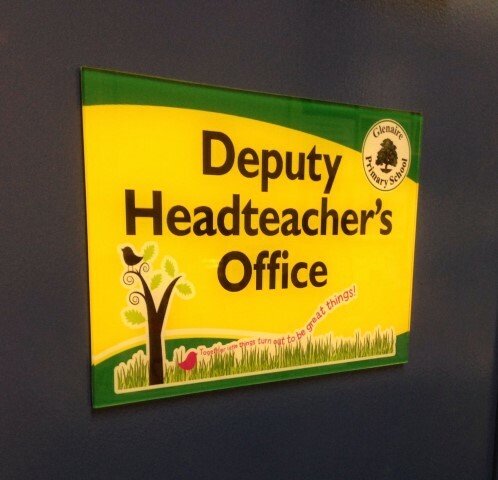 Our range of internal school signs can be bought through our online shop. 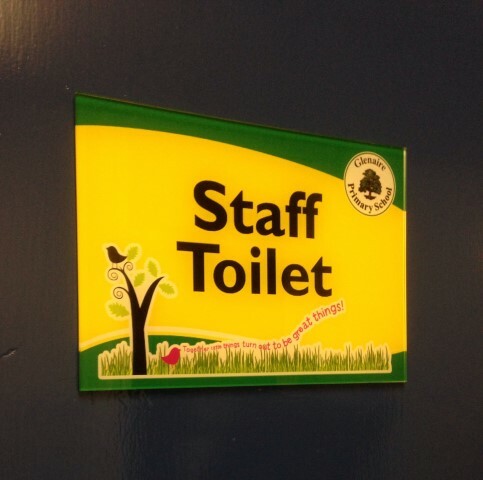 Would you rather pay by purchase order? 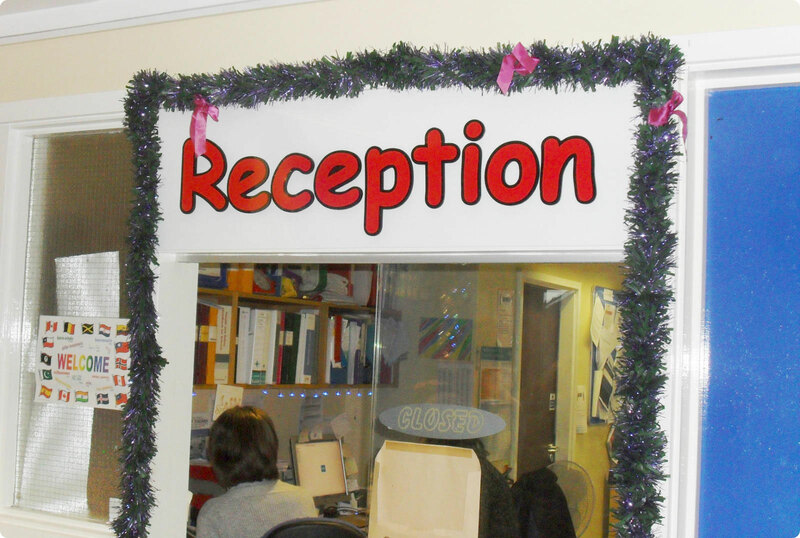 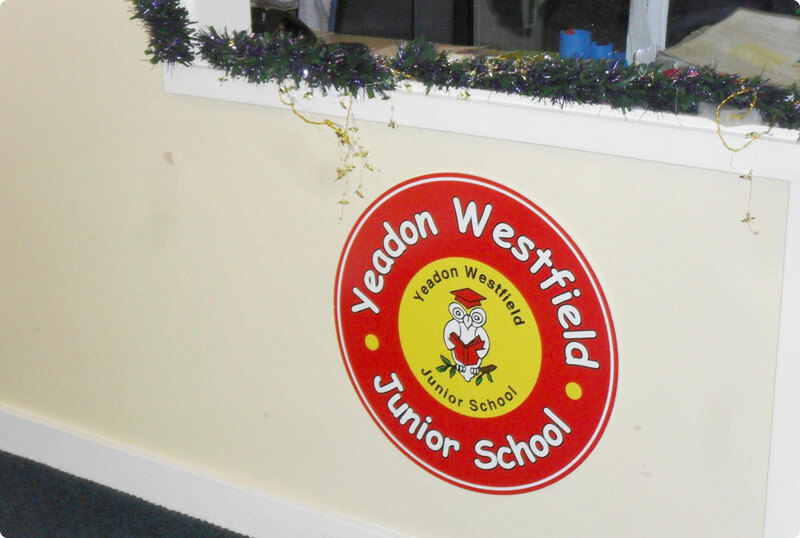 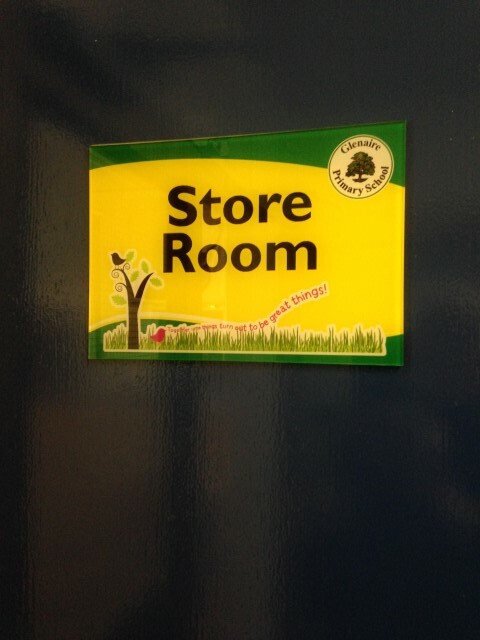 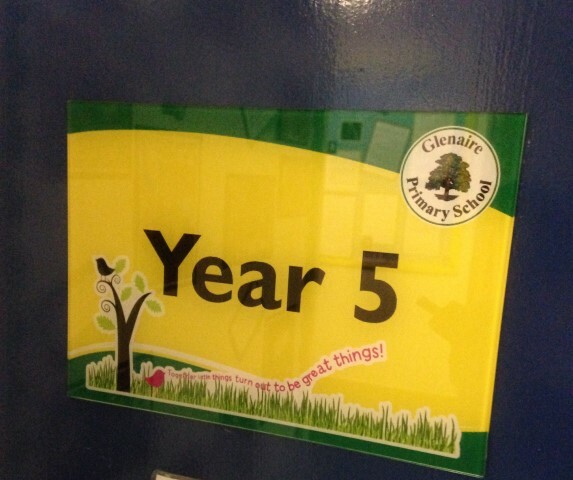 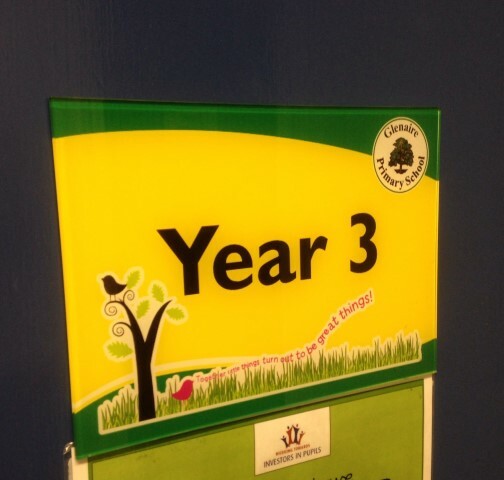 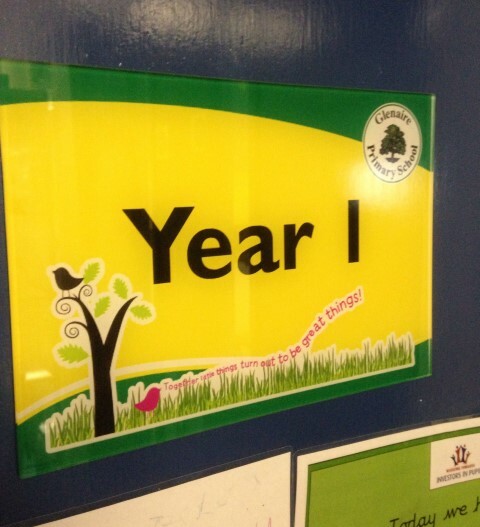 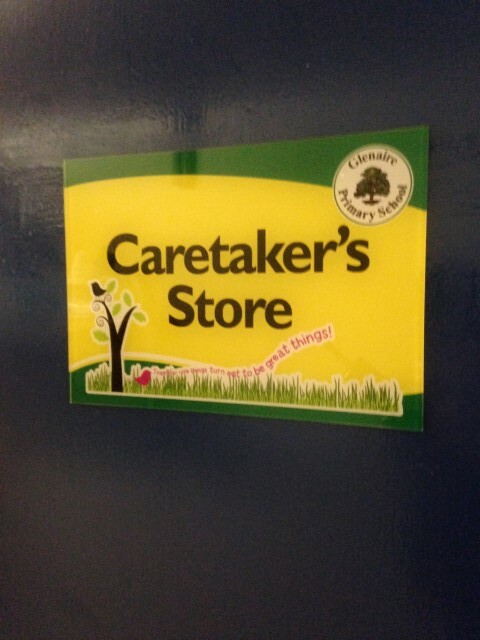 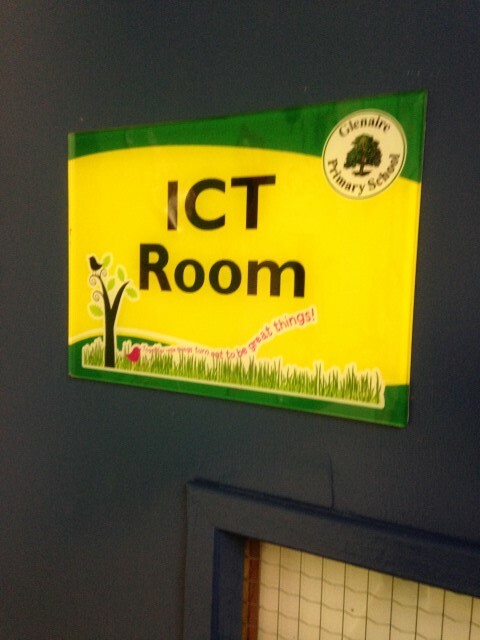 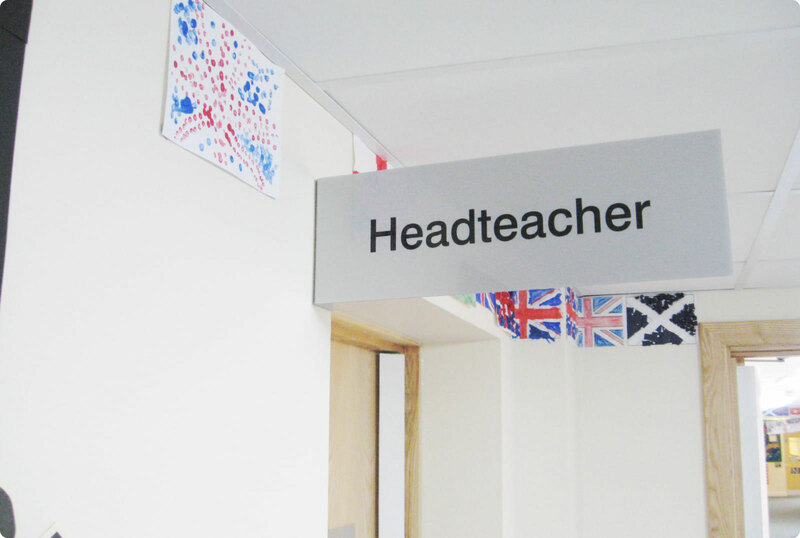 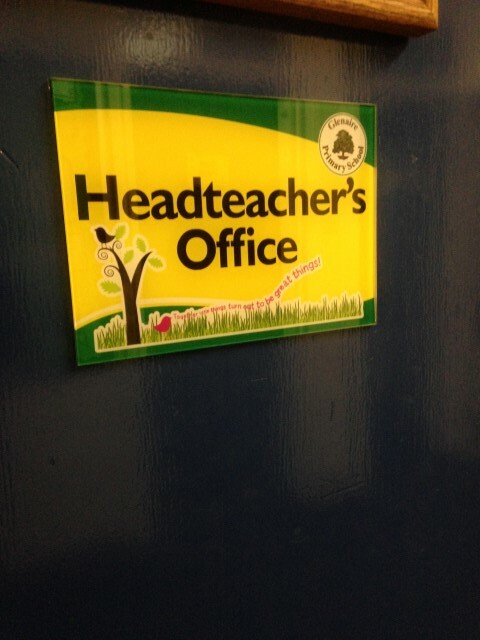 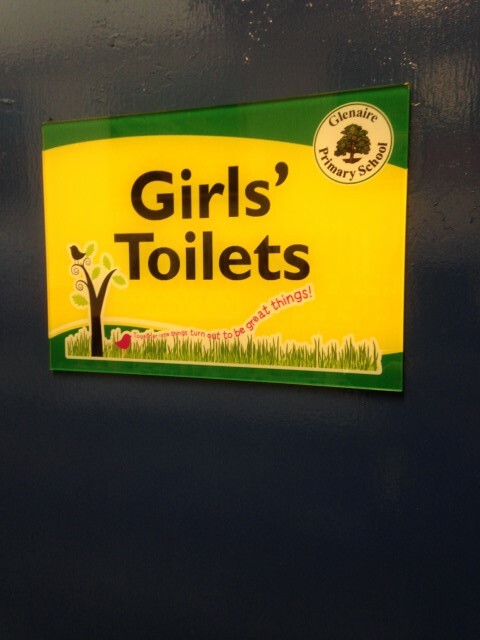 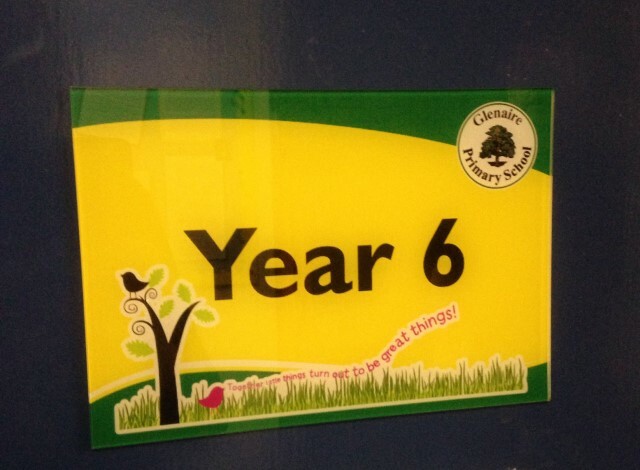 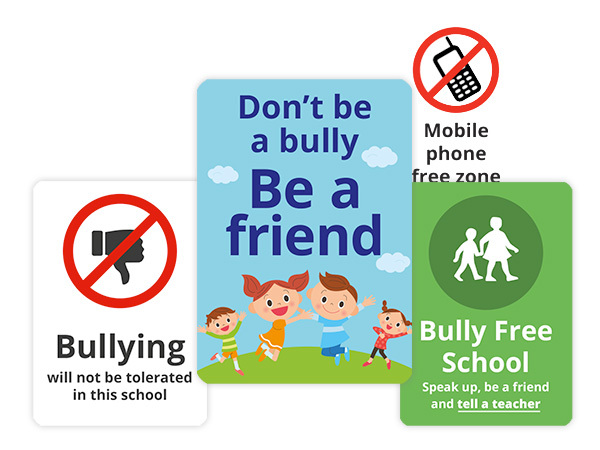 Our Shaped PVC Wall Mounted Signs will enhance any Classroom, Hall or Library doorway. 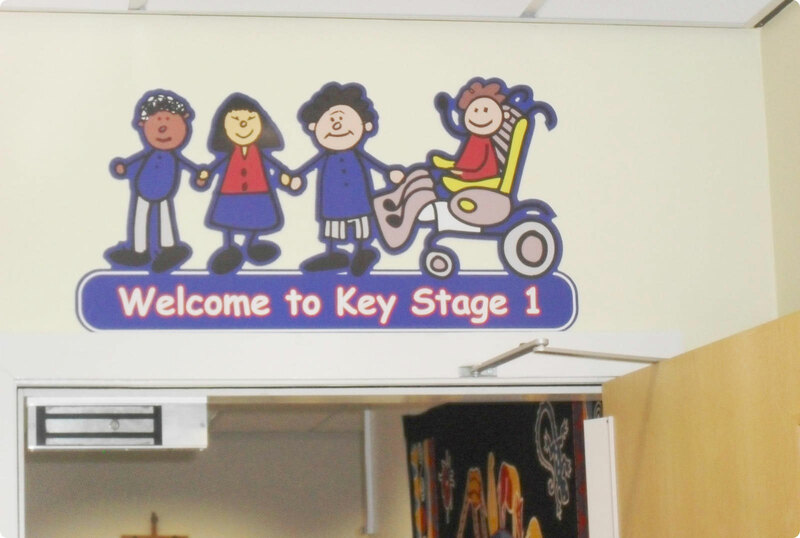 By adding a stunning colourful display of fun vinyl graphics, mounted onto shaped PVC, it will give a dull entrance area a colourful child frendly feel. 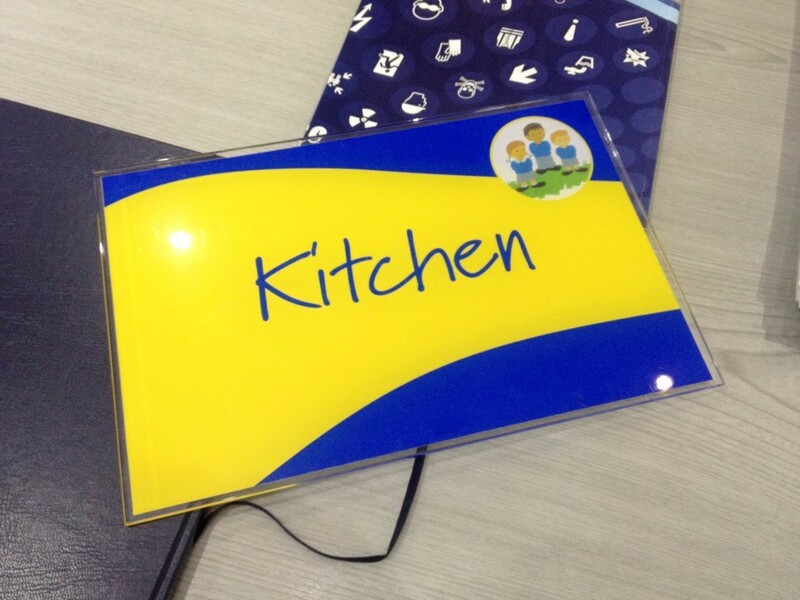 Provide us with your ideas and we will turn it into a creative stunning design. 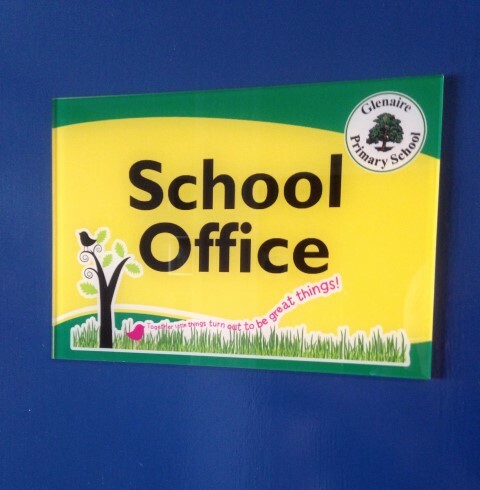 Our Clear Perspex Door Signs create a classy uniform look to all your internal doors. 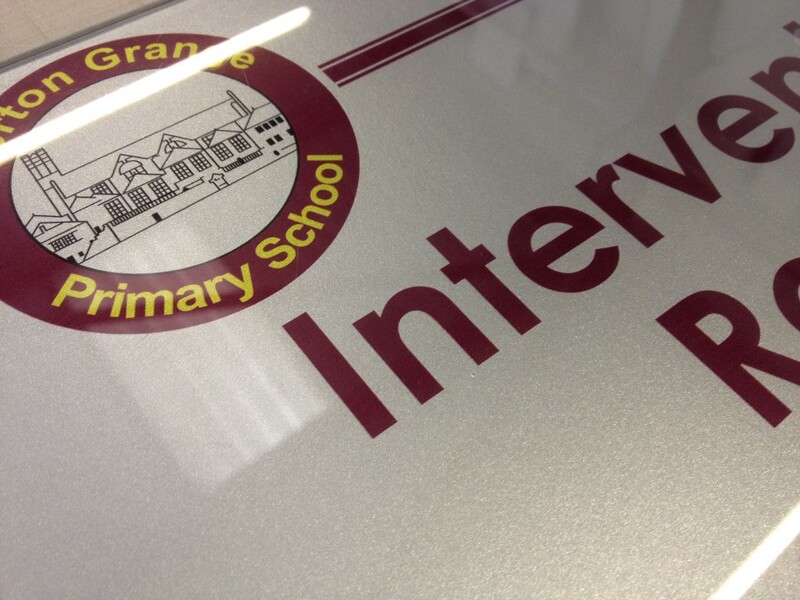 The vinyl graphics can be either coloured or frosted and are applied to the reverse of the clear perspex, therefore giving extra protection against vandalism. 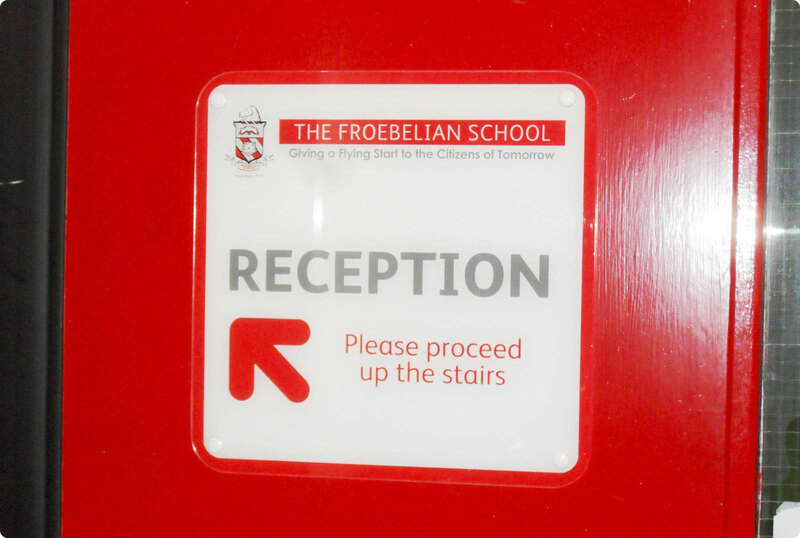 For safeguarding reasons the edges of the Perspex Door Signs are polished to give a really smooth finish. 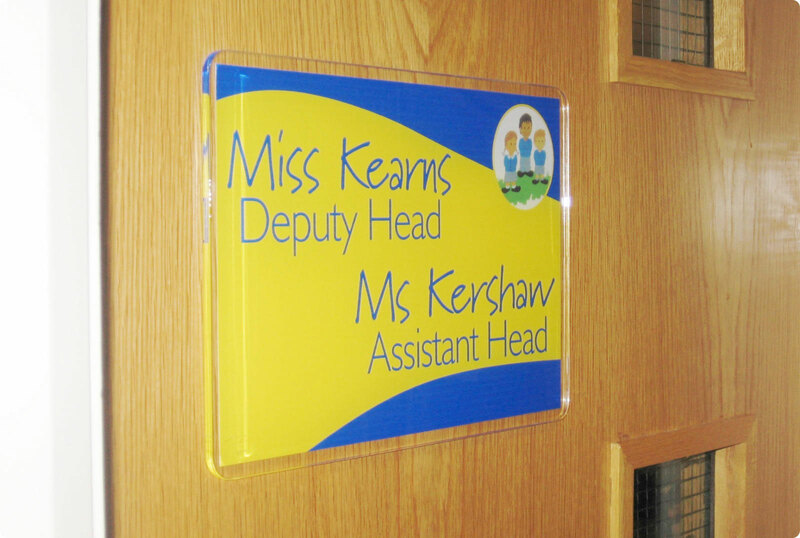 A self adhesive back can be added to the door signs, or they can be fixed onto spacers to give a “stand off” effect. 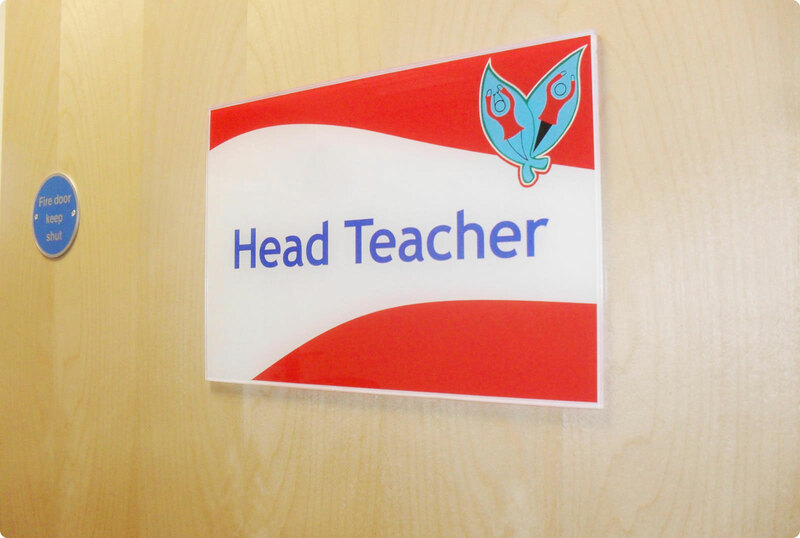 Our internal Projecting Signs are also made from Perspex, and are available in a wide variety of colours, complete with single or double sided vinyl graphics. 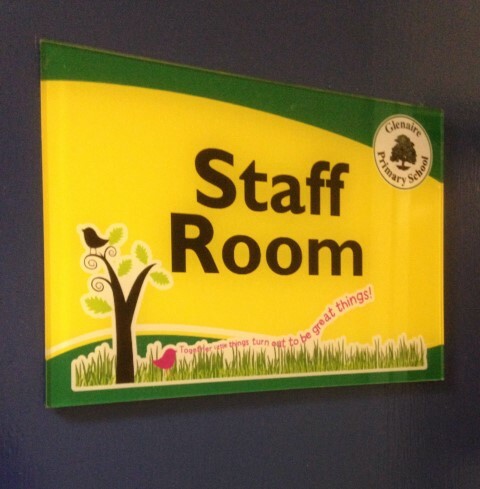 Photographic digitally printed logos or characters can be added to the signs along with directional arrows if necessary. 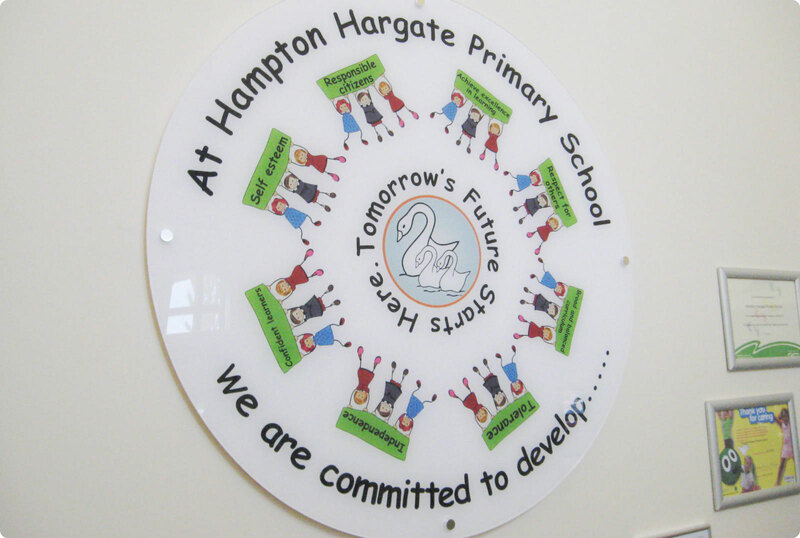 Our range of Acrylic Mounted Photographs create a stunning effect to enhance any internal wall area. 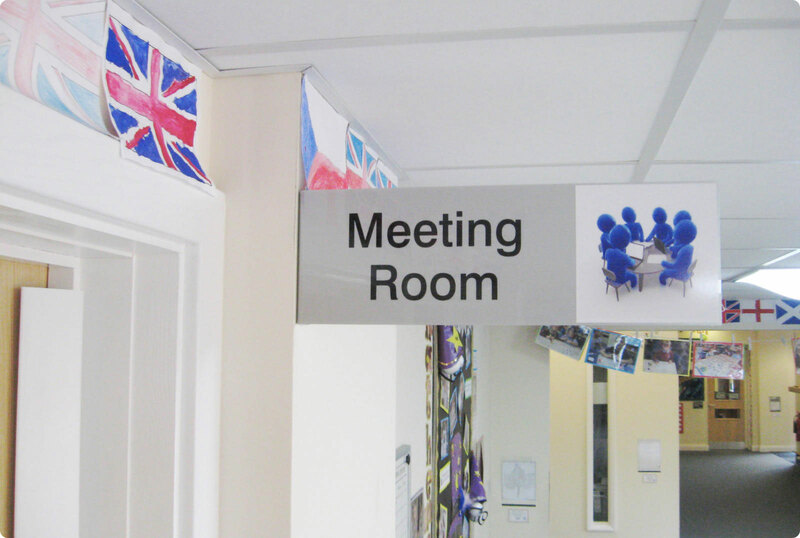 These are especially popular for corridors, waiting areas, main entrance areas, meeting rooms, halls, etc.,transforming them into impressive photographic galleries. 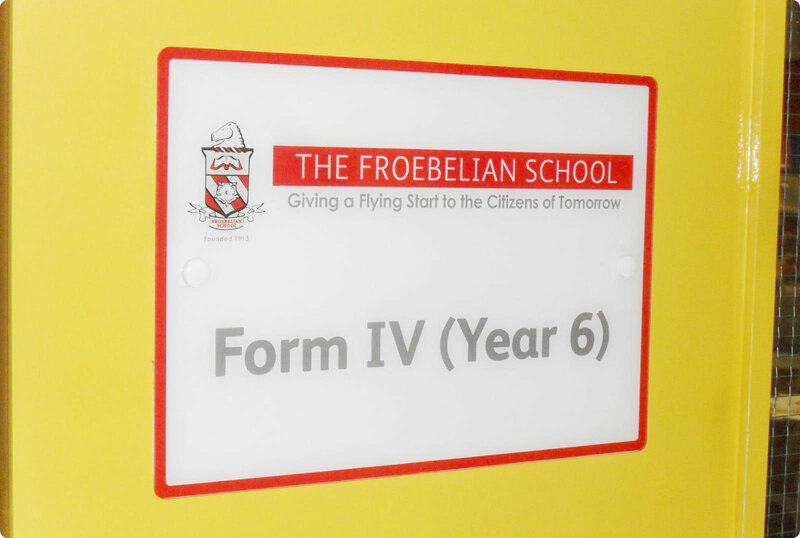 The digitally printed high resolution photographs are mounted onto the back of clear acrylic panels, so that the photograph cannot be defaced. 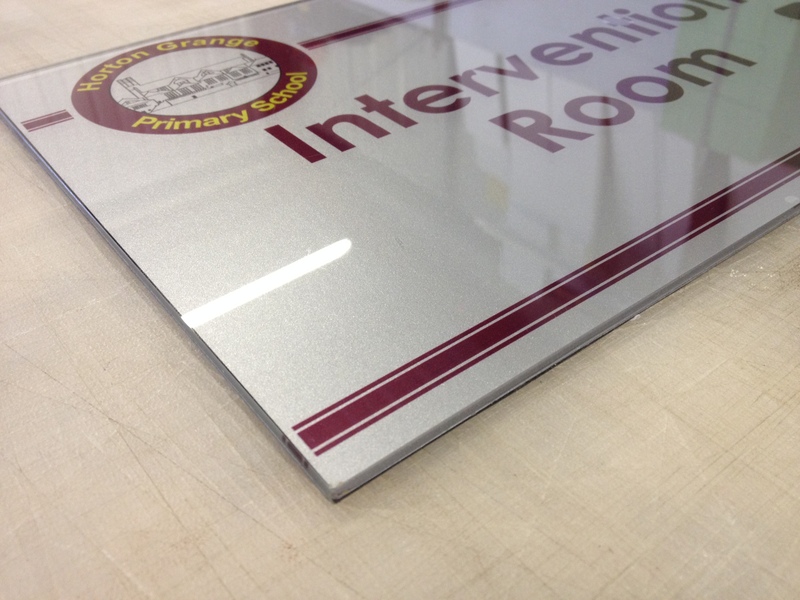 The edges of the acrylic panels are polished, to give a professional finish to the photographs. 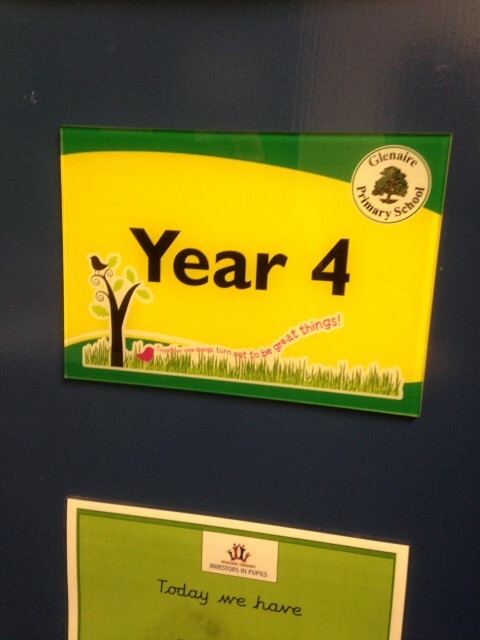 The Photographs can be coloured or we can change them to black and white or sepia if you prefer. 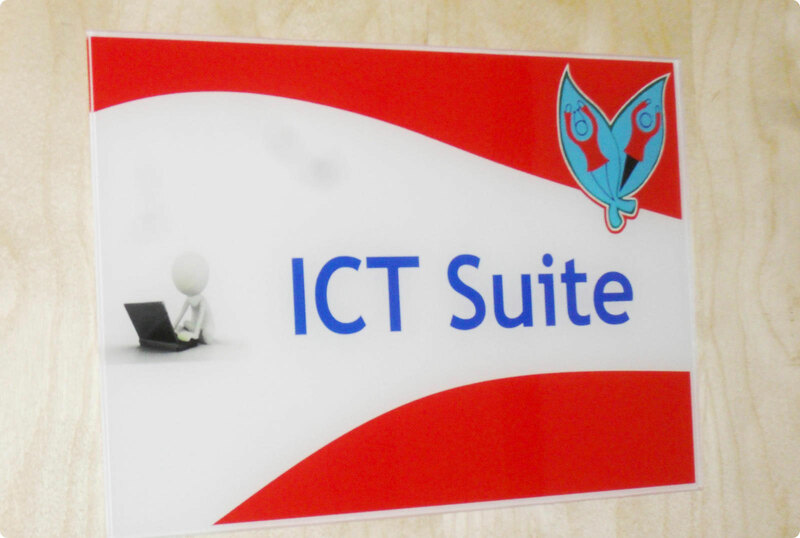 We can also crop the images to fit specific sizes to suit your requirements. 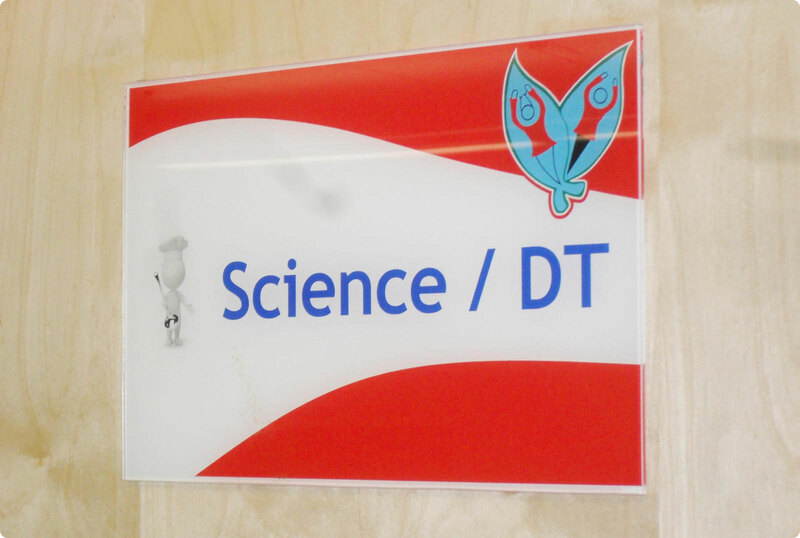 The Acrylic Photographs look stunning, stood off the wall with spacer fixings or they can be fixed flush to the wall if you prefer. 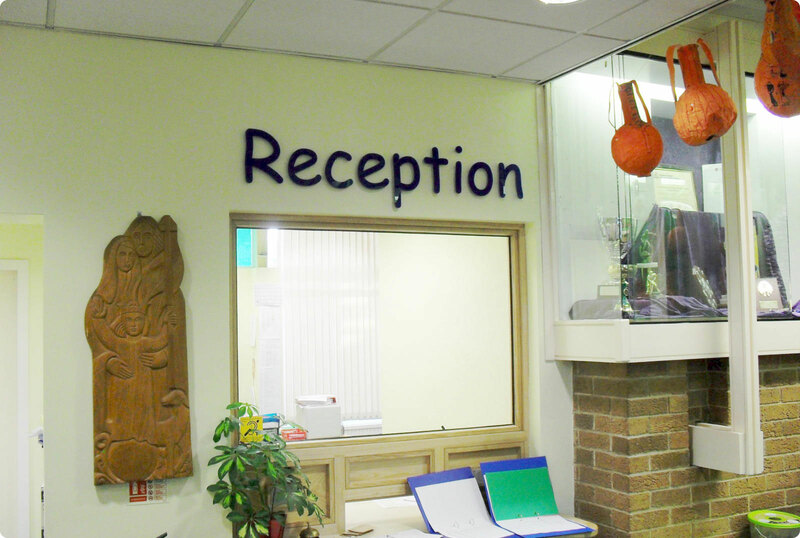 The spacer fixings are available in a wide variety of finishes and sizes. 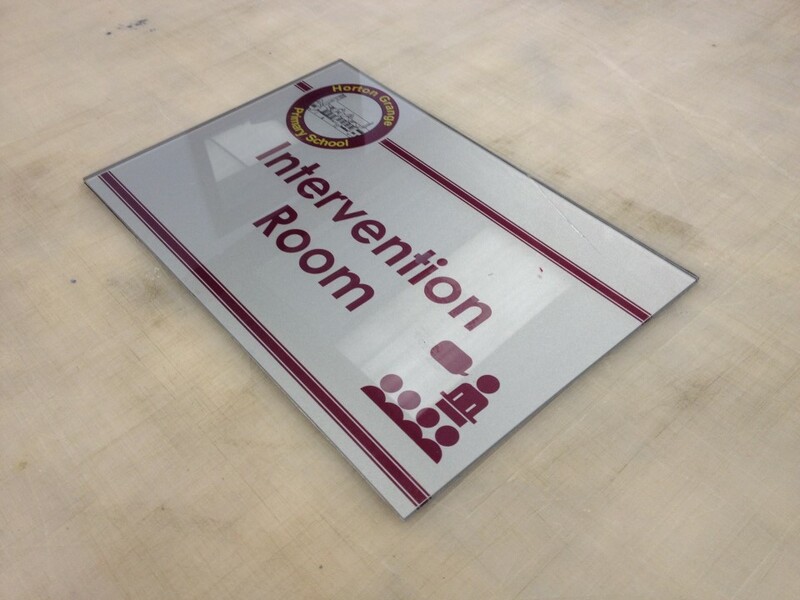 All we need is high resolution photographs to work from, and we will do the rest.